I just wrote a novella in a very short time-frame, and it reminded me how much I have to be thankful for in my chosen career of writing. I have a wonderful sister, Delilah Devlin, I know I can count on for anything writing related. Don’t have a plot? She’s a great sounding board. Need to share some writing-related coolness with someone who understands the language? She gets me! I couldn’t have gotten this far without her. But it also reminds me of all the friends I’ve made along the journey. From my writing retreat buddies, Cynthia D’Alba, Parker Kincade and Mandy Harbin, to my Harlequin author friends who are always an inspiration to me and there when I need someone to keep me straight, Julie Miller, Delores Fossen and BJ Daniels. And then there’s Susan Stoker, an author I met at the Romantic Times Convention one year and had such a good time talking to her at other conventions, I feel I’ve found a kindred spirit. She makes me laugh and is as passionate about her writing as I am about mine. And it’s always fun to do group projects with my author friends. Remember that project I just finished with a short fuse? That would be the novella for Susan Stoker’s Kindle World. 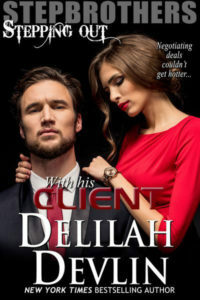 It’s a crossover novella between her Delta Force series and my Brotherhood Protector series. 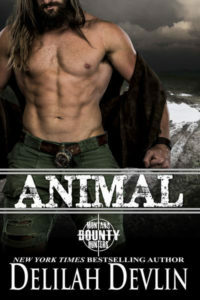 I hope you will check it out and all of the other books in Susan Stoker’s Kindle World. This entry was posted on Thursday, July 21st, 2016 at 7:01 am in General. Tagged: military romance. You can feed this entry. Both comments and pings are currently closed. 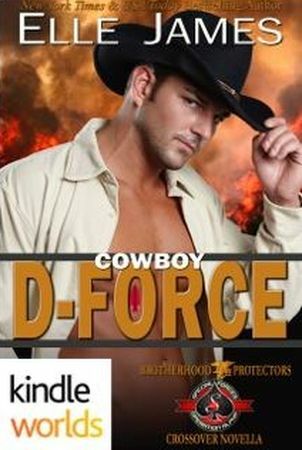 I’m reading Cowboy D-Force right now! Love it, love you and Delilah! Thank you for letting me come blog with you today! And thanks ButtonsMom2003 for loving Cowboy D-Force!